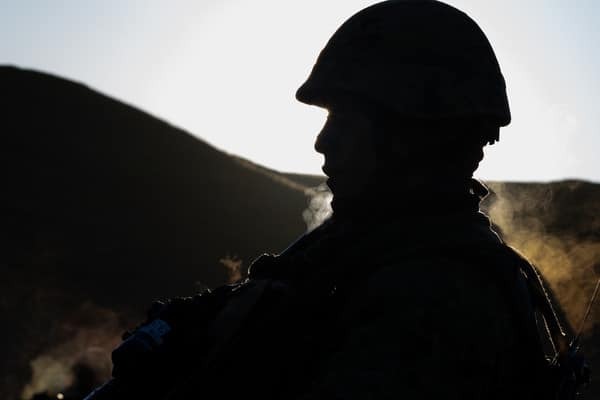 U.S. Marines from 1st Marine Division and Japan Ground Self-Defense Force Soldiers with the 1st Amphibious Rapid Deployment Brigade celebrated another successful exercise during the closing ceremony of Iron Fist 2019, Feb. 8, at Marine Corps Base Camp Pendleton, California. In addition to building upon the U.S.-Japan Alliance, Exercise Iron Fist 2019 provided the JGSDF with certification of its first amphibious assault force. “I am proud to share this moment with one of our closest and most dependable allies: the soldiers of the Japan Ground Self-Defense Force. Today we take another step forward in strengthening the important relationship between the U.S. Marine Corps and Japan Ground Self-Defense Force,” said Maj. Gen. Robert F. Castellvi, commanding general, 1st Marine Division during the closing ceremony. Exercise Iron Fist is a multilateral training exercise in Southern California that focused on advanced marksmanship, fire and maneuver assaults, amphibious reconnaissance, staff planning, logistical support, familiarization of medical capabilities, fire support operations and amphibious landing operations. This is the 14th iteration of Iron Fist, and the first time the Japan Ground Self-Defense Force brought their own assault amphibious vehicles. The JGSDF also certified the unit to become Japan’s first fully operational Amphibious Rapid Deployment Brigade. “The development brought about by [Japan’s] own assault amphibious vehicles significantly increases [their] ability to employ amphibious combat power and keep the people of Japan safe from our adversaries,” said Castellvi. With continued risk in the Western Pacific, gaining the ability to employ an amphibious force during Iron Fist 2019 was a significant accomplishment for the JGSDF. In order to achieve this, the Soldiers from the 1st ARDB put their skills to the test at the West Coast’s premier expeditionary training base. Despite the rain, and the challenges which came with it, Marines and Soldiers utilized every opportunity to train and learn from one another. Sharing these tactics and practices offers the opportunity to build confidence within the troops. Learning each other’s strengths and weaknesses and having the confidence in each other creates an effective combined military operation.